We now offer moving services across the entire 48 continental states. The online quote system automatically calculates your price to include the 20% online discount offer for Texas moves. Prices available through our online quote system may not be consistent with phone quotes. Interstate moves may qualify for an additional bottom-line discount. Quote price is for listed conditions and inventory only. Online quote price does not include any items entered in the open text fields (“other items” and “other circumstances/questions or special circumstances”), nor does it include mileage charges for traveling out of the Austin metro area. 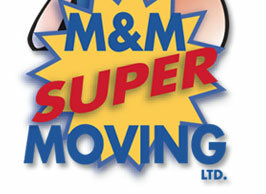 Your online quote may increase or decrease upon review by M&M Super Moving, Ltd. staff. This price is subject to change if the list of items to be moved changes, if origination or destination environment is not fully described, or if destination or origination site is outside of the Austin metro area. Prices do not include mileage (out of Austin) or tariff (interstate) charges.